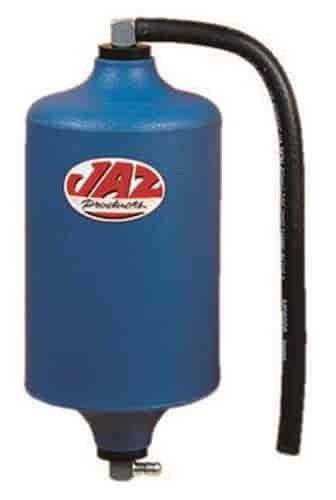 JAZ Products' Recovery Catch Tanks are constructed with a seamless cross-linked polyethylene outer shell and feature molded-in 1/4"-20 threaded mounting inserts and 1/4" barb fittings in the top and bottom on the tank. These recovery tanks allow the radiator to recover fluid as needed. Available in various color choices to fit within any engine bay.